Date: Aug 23 2018, 12 a.m. - Dec 5 2018, 11:59 p.m. 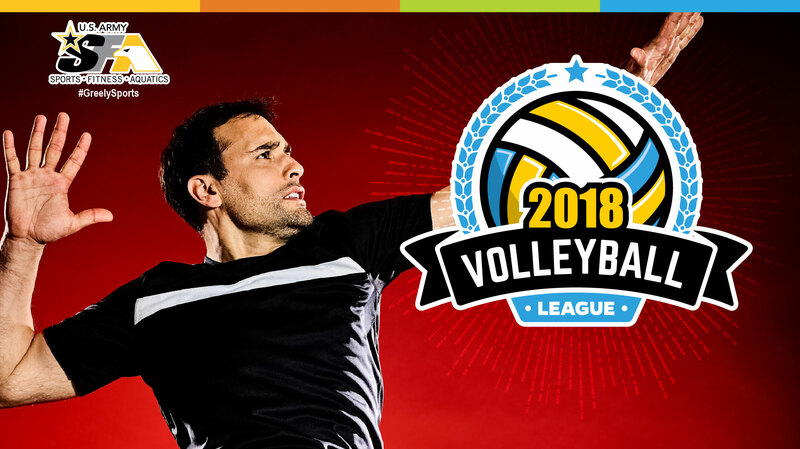 If you love playing volleyball, gather up your friends and co-workers, and join the League! Our adult coed Volleyball League provide both men and women an opportunity to keep active in a fun environment. Registration for Volleyball League opens September 1st. The 2018 Season begins on October 10th. Games will be held every Monday and Wednesday from 6pm thru 9pm. Please ensure that the team roster has been registered before the registration deadline. The Season must have at least a minimum of 3 teams registered by 9:30 pm of the final day of registration. In the event that the minimum requirement has not met, the Volleyball League will be cancelled. For more information, contact the Physical Fitness Center at (907)873-2696, Building 503.